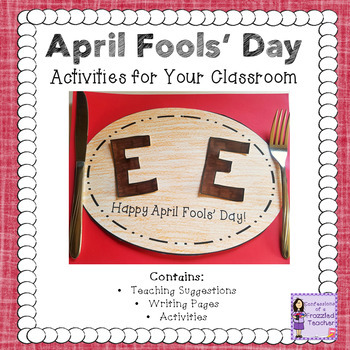 I used to hate April Fools' Day in the classroom. 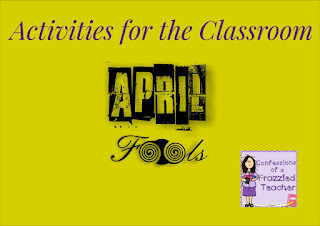 I would dread the ridiculous "pranks" my students would pull. Basically, they were all the same with someone pretending to point to a spider behind me. 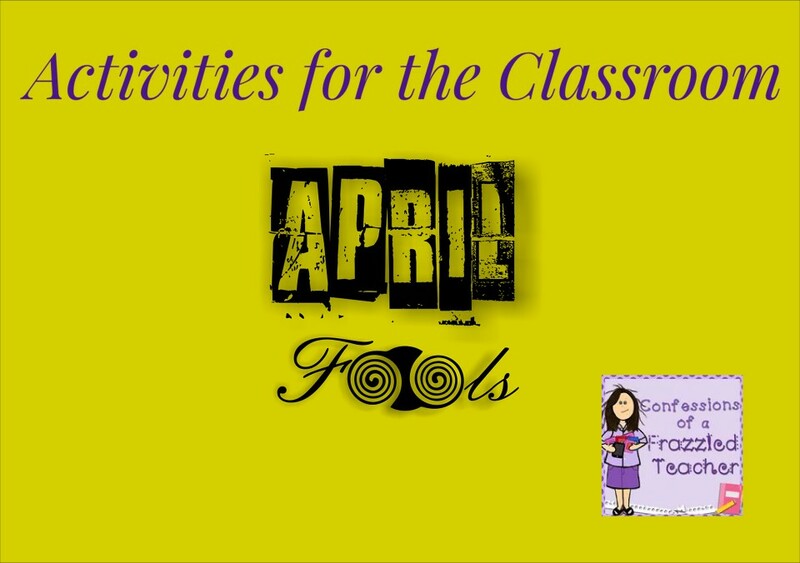 Gradually, I decided to embrace April Fools' Day and come up with a variety of pranks to get my students before they got me! Here are some of my favorites. Switch Teaching Positions With Another Staff Member - This works best if you can keep a straight face. For those that want to get really into this, try switching up pictures/names on the desks. 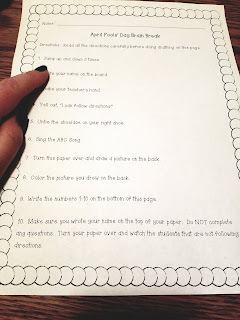 This works well depending on how much you are willing to commit to the charade. 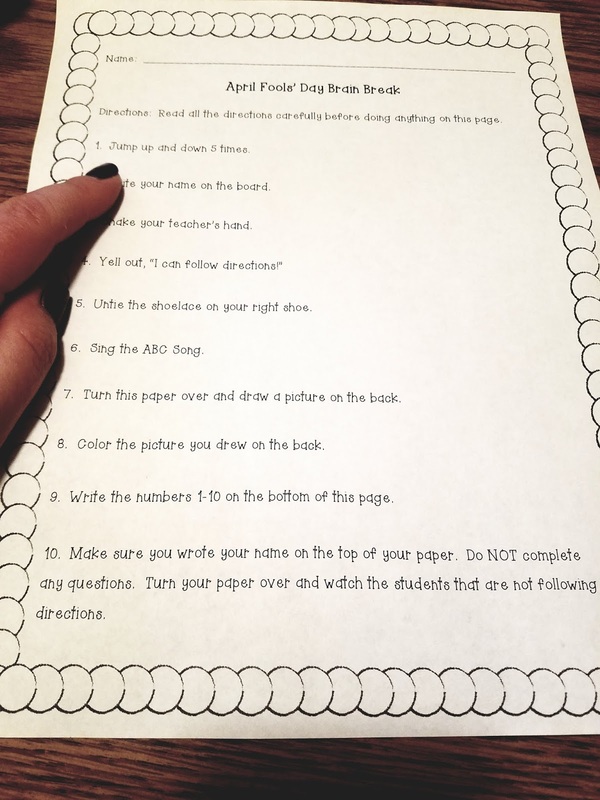 Following Directions - April Fools' Day is perfect for a review sheet with directions stating to read each question before completing any work. The last question states not to answer any of the questions. If you have some questions in there that entertain you, all the better! My favorite is having students jump up and down! 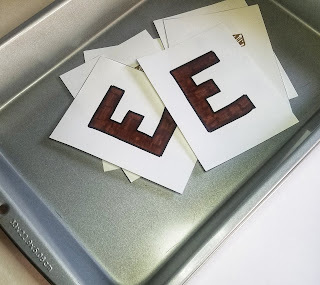 If you are looking for some additional activities or want resources to complete your own Brown-E activity or Following Directions questions, click on the pic below. What's your favorite prank to pull on your students?